As the winter doldrums drift on in some areas... and spring fever breezes into others... it can be tempting to lay aside the books or even question if they are still a good fit. If you are anything like me, I usually hit this mode in both late fall and early spring. Fact is, it usually isn't faulty curriculum at work... it is weariness of teaching the same thing day-in-and-day-out and the changing seasons outside the window beckoning us to join in their adventures. So what do you do when you suddenly become discontent with your curriculum? #1 - Remember what you liked about it in the beginning. You had a reason for choosing the curriculum you have. I was gifted with a lot of our ABeka though I have chosen to purchase a few items I enjoyed as well. Other curriculum has come through homeschool book sales/sellers or the rare garage sale finds. There are certain types of curriculum out there I would love to purchase instead of what I have but it doesn't fit our modest budget. But that doesn't matter. Each year I choose what and how we will learn and each year I have a good reason for it. I have learned to hold onto that reason and trust what I liked about it in the beginning. Don't buy into that lie. Remember #1 above. There are a plethora of GREAT ideas and curriculum you could use out there, but this curriculum or idea you have right-now... this is the one YOU chose at the beginning of the year and it will work GREAT. I am a curriculum junky so trust me when I tell you: there is NO such thing as the full-proof perfect curriclum out there. Nothing in life is "perfect" why would our educational materials be?! If you really, really, really like Curriculum B better then Curriculum A which you chose to use this year, guess what? This isn't the last year you teach! Try B next year and see how it goes! I have. Sometimes I go back to A the year after that... sometimes I stick with B from the next year on... sometimes I try C... or D... or.... you get the idea! Do you feel it isn't working because your kids are complaining about it? Kids are expert complainers when it comes to things they don't want to do... even homeschool (don't feel bad, they would do the same thing with public school as well!) Often their complaining isn't a curriculum flaw or incompatibility issue...sometimes it is because they just don't like being challenged and pulled outside their comfort zone, sometimes they just want to get back to Minecraft or Legos or Pretend. Watch them for effort. If you see true 110% effort consistently yet still no productive results then, yes, it may be curriculum incompatibility. But if you are honest and your child is not trying the hardest, find ways to encourage them out of their slump. Sometimes they just need to find success in their work. Don't focus so much on what they can't do or are doing wrong, rather, encourage them by pointing out everywhere they are getting right and every area they begin to show improvement in. Is it not working because you don't feel like teaching it? Maybe because you just have the blahs or maybe your child (as in bullet-point above) is fighting you on it. Take the advice above along with remembering: success in homeschooling and curriculum isn't measured in snapshots... it is a slow and steady pace from the day you begin teaching until the day you hand them their diploma... with a lot of bumps and slumps in between. Be encouraged to know persistence does pay off and remember Hebrews 11... many of God's faithful followers were counted as "righteous" not because they ever saw God's blessings... but because they believed God for the results.... whenever He saw fit for those results to appear. Are you having trouble understanding how to use the curriculum or make it work for you? Talk to other parents you know who are using the same curriculum; search social media for groups or check with your local homeschooling support group. Sometimes these other parents may be able to give you pointers or explain tricky aspects of the curriculum. Remember, they were once new at it and probably struggled then too... reaching out gives them the opportunity to share that hard-earned knowledge! #4 - Don't complain about your curriculum. If you once loved it, I promise, with the right attitude, you can and will love it again. Complaining causes your current dissatisfaction to fester and boil. Complaining in front of your kids gives credence to bad work attitudes and your kids will begin to grumble as well... then you will all be miserable and your dissatisfaction will barrel down a very reckless path. #5 - Retool it! Ever get tiered of your living room furniture arrangement? What do you do? You rearrange, maybe switch out some trinkets on end tables while your at it, find a great throw blanket at the thrift store and drape it over the arm of your couch... you get the idea. Did you know you can do the same with your curriculum? Maybe you do math in the afternoon instead of the morning. Maybe you add some historical art projects in with history. Maybe you take it slower through science and find ways to incorporate the outdoors into your studies (if you aren't already). Maybe, instead of doing Language Arts from the book FIVE days a week, you do it 3-4 and for the other days you play an L.A. game or write letters to loved ones or make your own books. Maybe you buy a microscope or a telescope or an Easy Bake Oven or puzzles to supplement activities with... The ideas are endless and they all start with thinking outside the box and shuffling it around a bit so it fits better into the season of change or un-settling you feel right now. My lack of a well networked support system in homeschooling early on coupled with my low self-confidence at that time and our tight budget led me through quite a treacherous adventure in and out of contentedness with curriculum. Finally, the good Lord grabbed a hold of me and got me FOCUSED on being content with what He provided and what I had each year and what-do-you-know... each year has grown in contentedness and boy do I wish I had known this sooner!! Never a dull moment with him! I'm going to miss this when he graduates next year. Tuesday we had some very warm weather and decided to have lunch on the deck... 2 out of 3 were still in their pajamas! Ashley may be graduated now but she still hangs out with us from time to time providing faceless pictures! One of our cats is an outdoor bum. He was soaking up the warm sun... literally! Brenden and Brooke joined forces in Algebra this week. Brooke started the year in Algebra 1 and Brenden had Algebra Freshman year but we never finished the book. He is considering studying some CAD or engineering post graduation so I decided to draw him back into advanced math for a refresher and then pull him through Algebra 2 with Brooke next year before he graduates. Shhhh, don't tell Brooke I shared this shot! It is a rare glimpse into her silliness amidst homework! Now this one she is fully aware of ! Ever-creative, she wanted to do some face paint this weekend so she painted around her right eye to match her shirt on Saturday! We hung out here Wednesday afternoon. I picked up materials for a project I'm working on and the kids hunted around for some new books. It was nice to get out, even if it was snowing huge fluffy flakes in contrast to our picnic the day before! Excellent post!!!!!! Exactly where I am- spring fever. I want to be outside, at the park, on a picnic, nature walk, ANYTHING other then cooped up inside. Lol. Ooooh I needed the reminder to remember why I choose out curriculum in the first place!!! That's a great idea! I can totally relate and agree with you! :) I enjoyed this post so thank you for sharing! Thank you... and I will let Brooke know you said so! I find if I can just push through that Blah feeling I start to get excited at just how few assignments we really have left in each book. My boys and i figured we have only 10 more spelling lessons; that's just 10 more weeks! That is extincting about spelling!! I am the same way with pushing through the Blah. It took a few years of homeschooling before I realized pushing through produces a huge pay-out making the drive totally worth it! Thanks for stopping by today! Excellent advice for getting through those winter doldrums. Looks like a great week - I love the hurricane category illustrations. 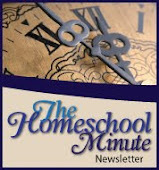 Thanks for linking up at Homeschool Highlights! Imitations and Implications, Join Me? 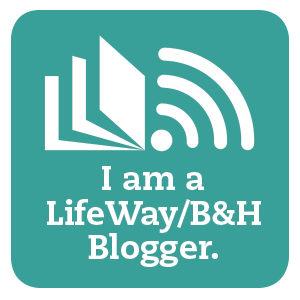 BLOGIVERSARY and a FREE Giveway! !